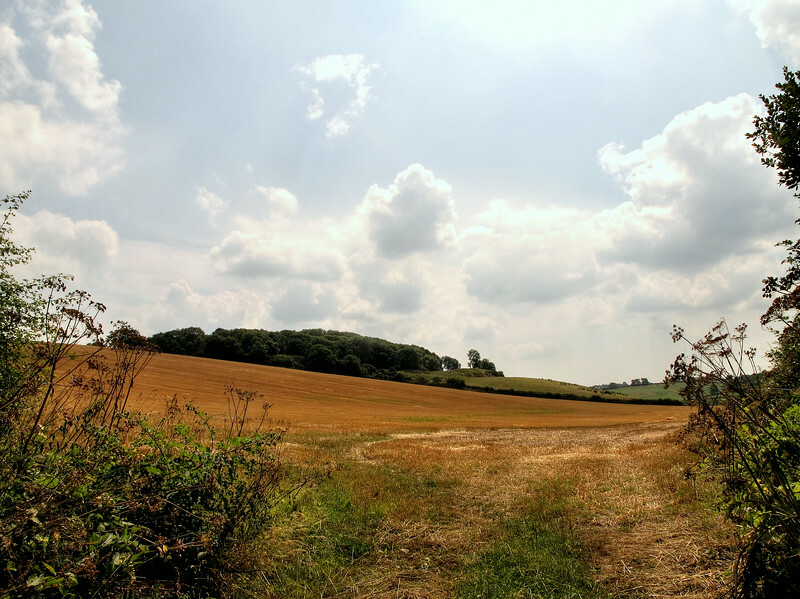 Pictures from a 10 mile walk from Bere Regis via Milborne St Andrew in Dorset on a hot sunny day, on 23 July 2014. 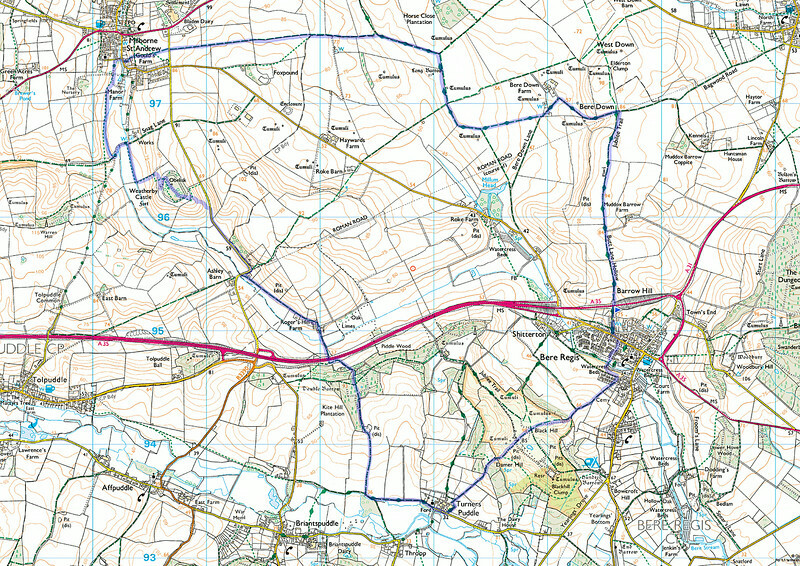 Today's route shown in blue, travelled anticlockwise from the blue flag. 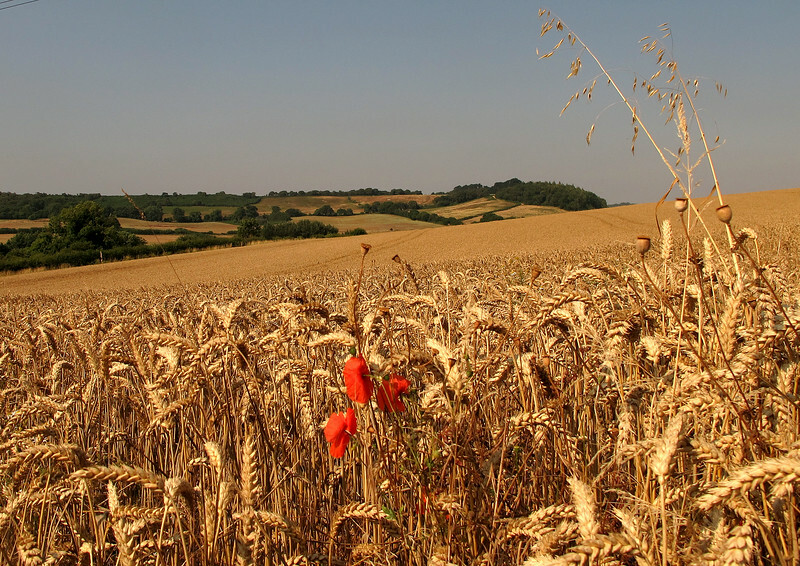 A ripe field of wheat with poppies . 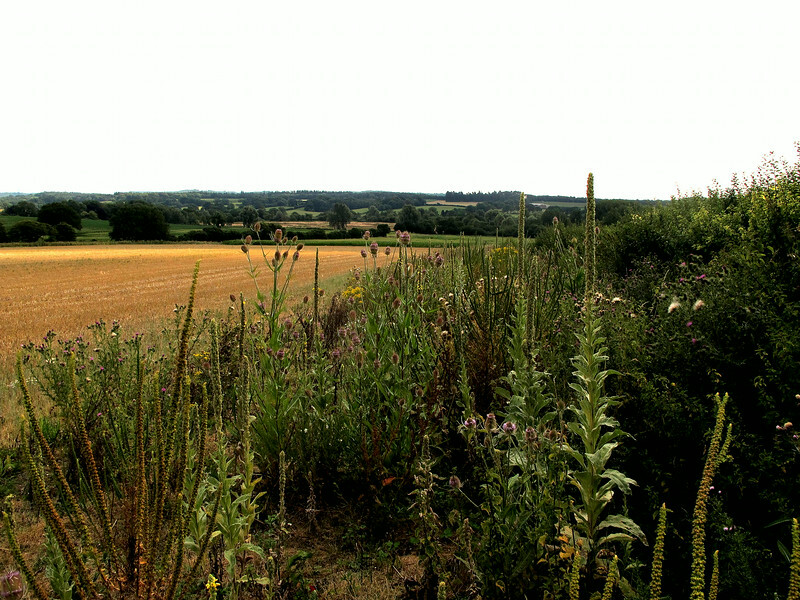 Looking West from the path at the start of Barrow Hill. 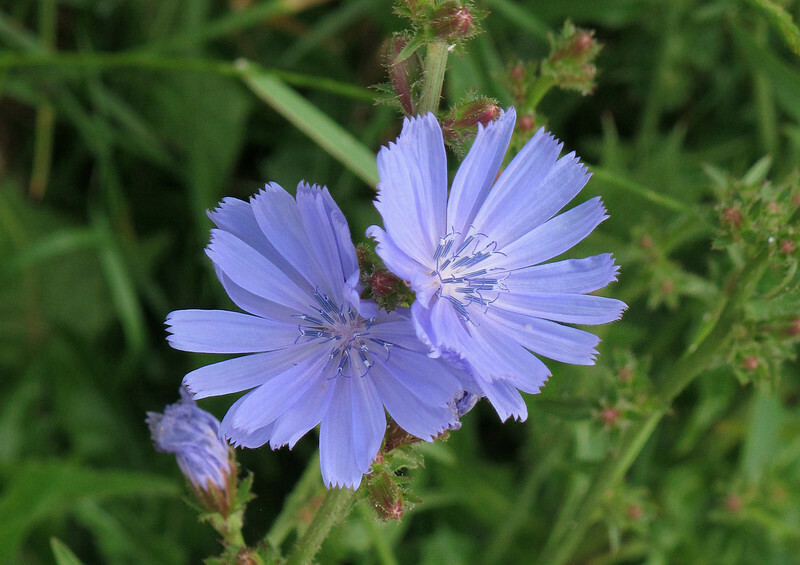 Cichorium Spinosum flowers on the path. 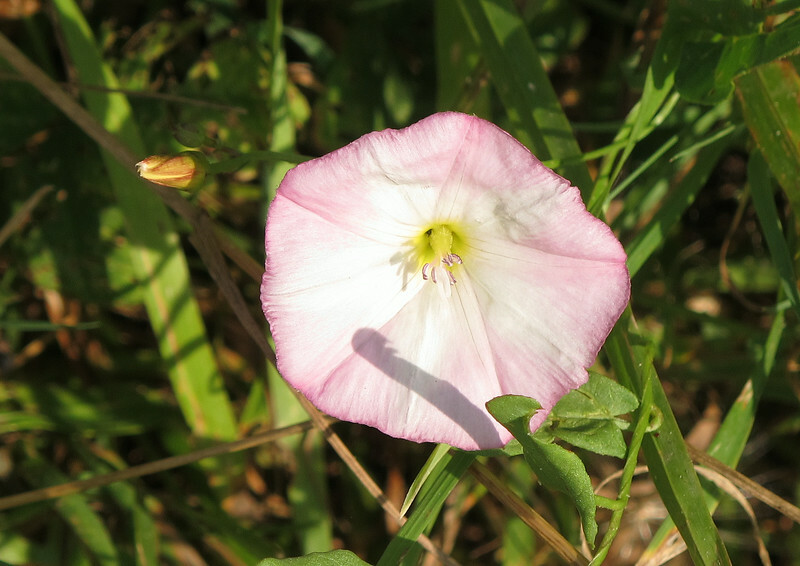 A Convolvulus flower in the morning sunshine. 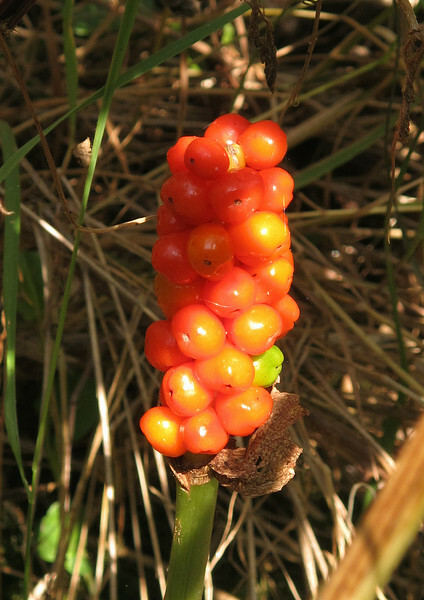 The glaucous berries of the Arum plant. 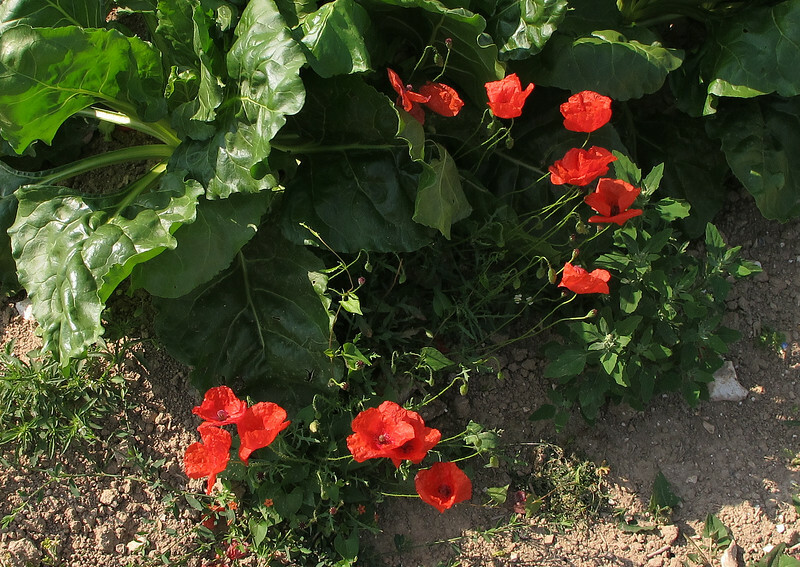 Poppies and what looks like Spinach on the path through fields at Bere Down. 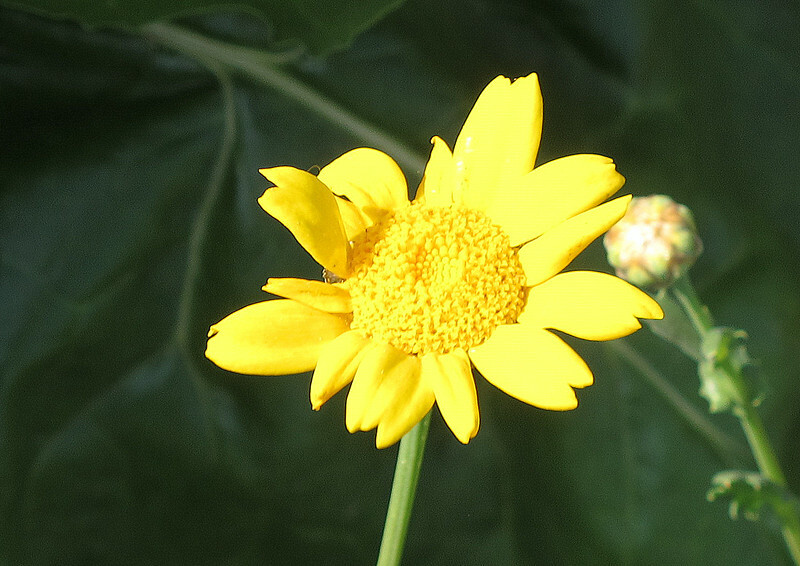 Yellow wild flower, the Corn Marigold. 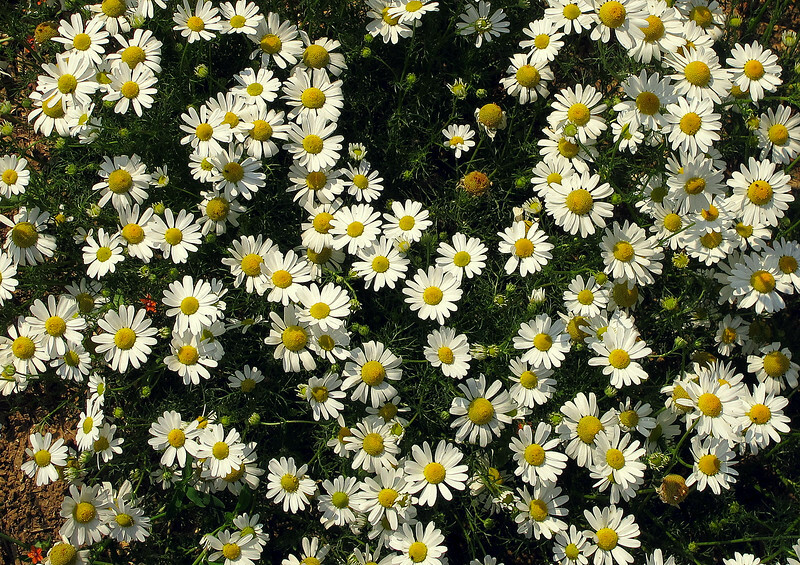 Oxeye daisies or the Corn Chamomlie. I don't fancy the chances of the ones at the back getting any water for a bit. 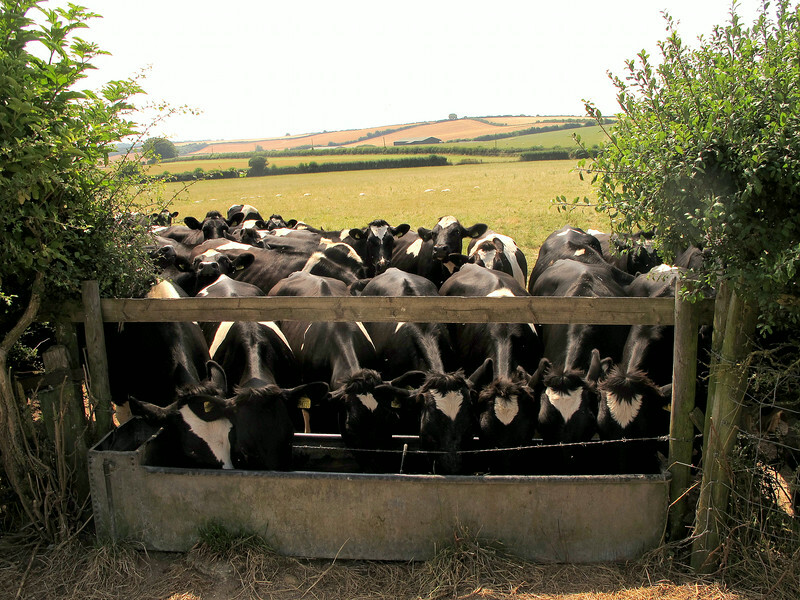 The only pipe filling the trough is the half inch pipe to the left and 7 Heifers can drink faster than it can fill! 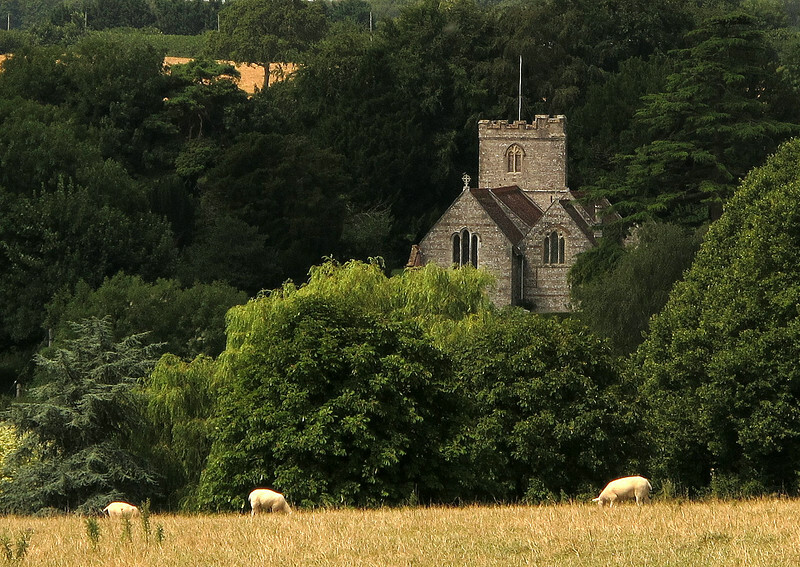 The church at Milborne St Andrew across the fields. 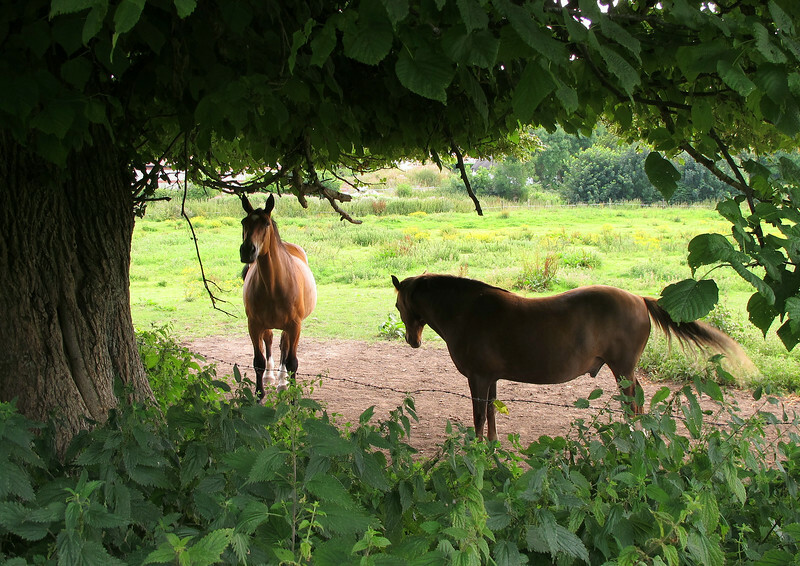 Two horses taking the shade at Milborne St Andrew. 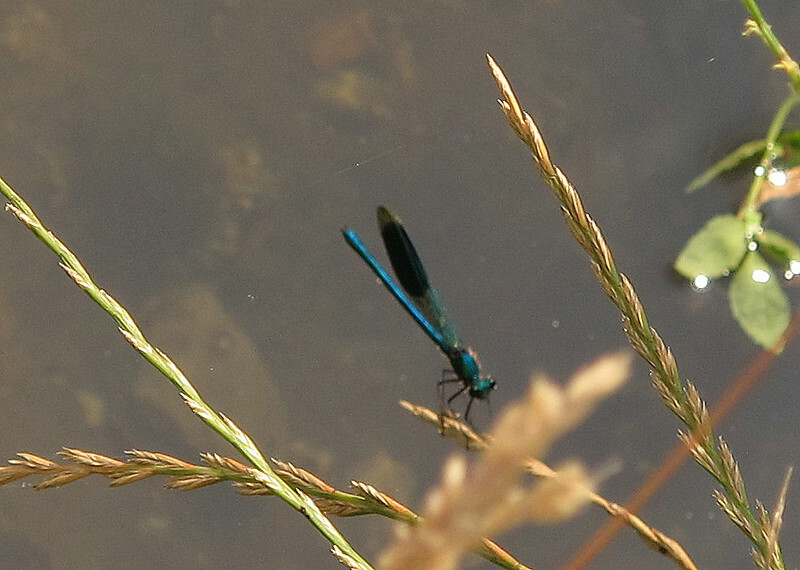 A busy Dragon Fly takes a moment to sit on a grass stalk. 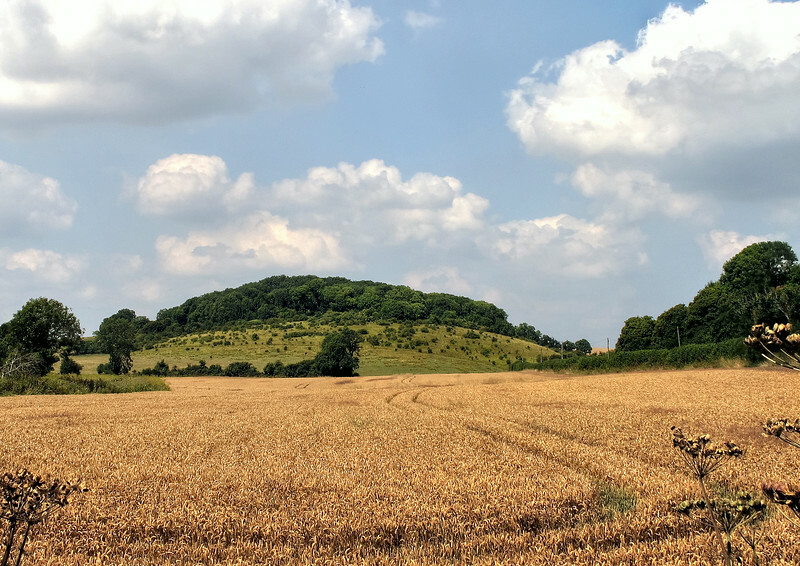 Weatherby Castle hill fort from the NW. 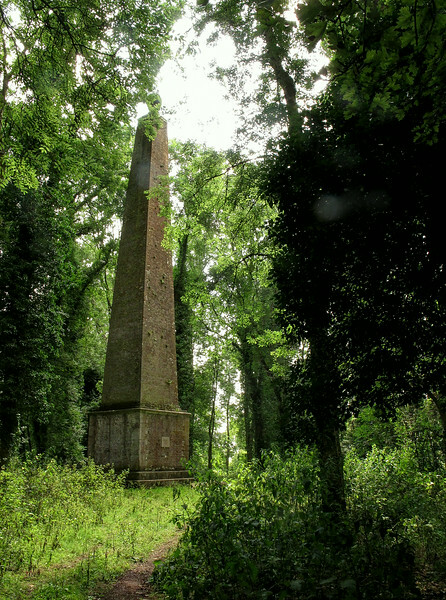 The Obelisk on Weatherby Castle. When the obelisk was built the hill must have been clear but nature has all but reclaimed the area, the obelisk only visible now when you get right on top of it. 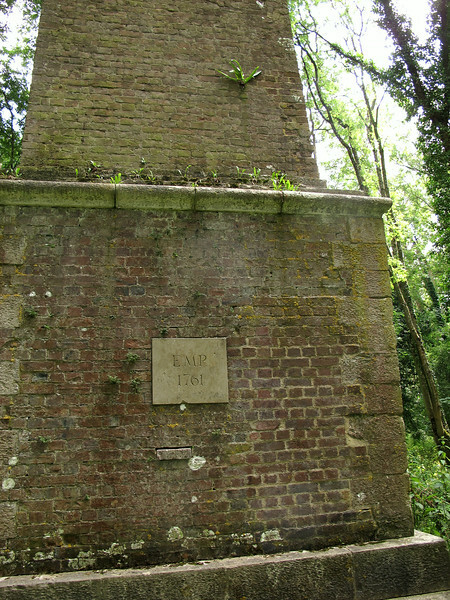 Erected 1761 by Edmund Morton Pleydell. 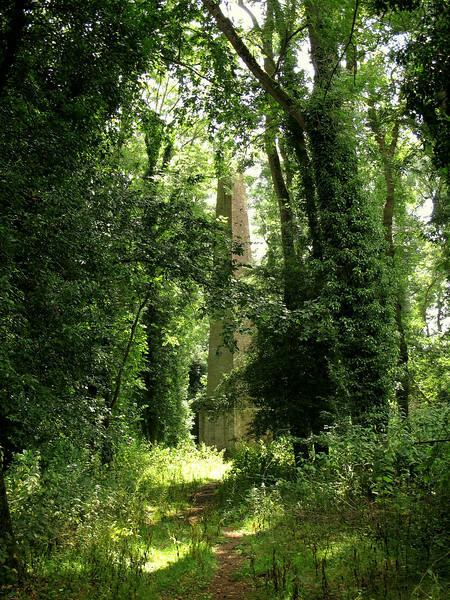 A last look back at the castle from Ashley Barn. 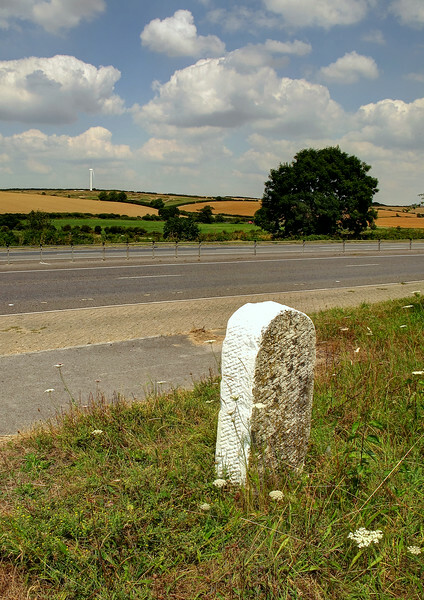 Across the main road to Dorchester and one of the ancient mile posts along this road, with a modern windmill in contrast up on the hill. 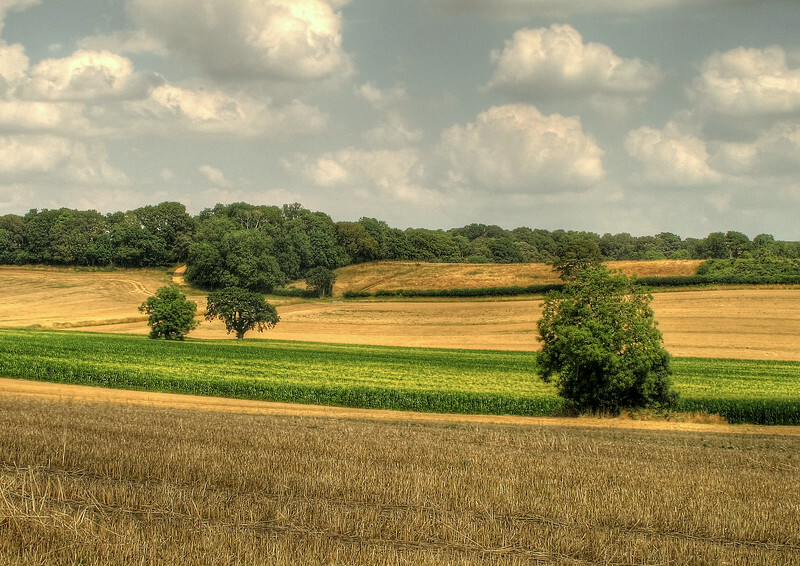 A variety of crops on a sunny warm afternoon. 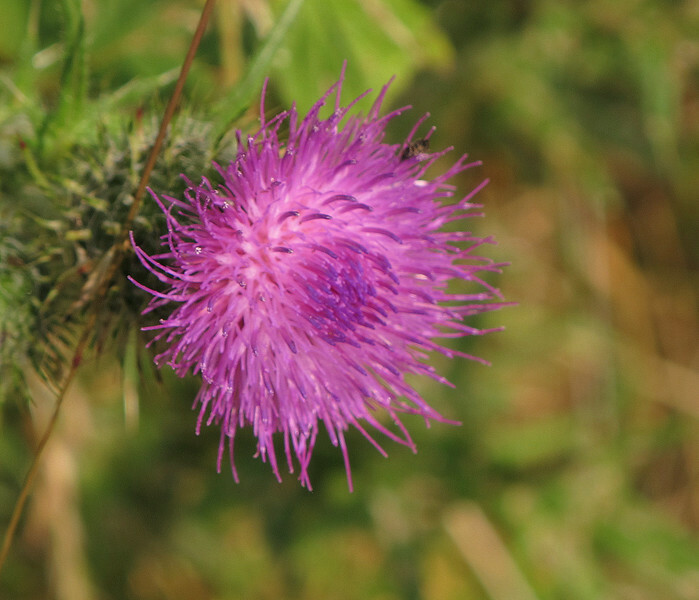 All sorts of wild flowers growing in the margin of the field, to provide a habitat for wildlife.